This colourful butterfly is now quite visible here at this time of the year. The picture was taken in a shady spot. 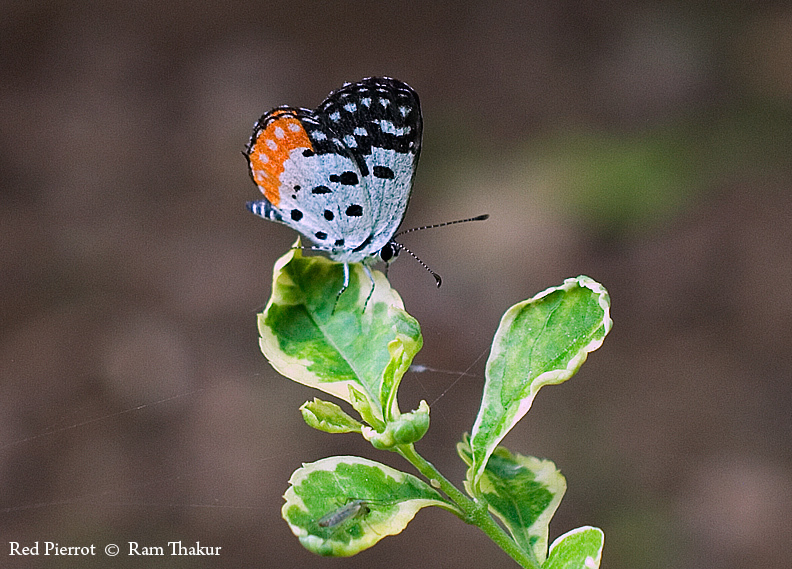 Talicada nyseus, the red Pierrot, is a small but striking butterfly found in the Indian subcontinent and South-East Asia belonging to the lycaenids, or blues family. The red Pierrots, often found perching on its larva host plant, Kalanchoe, are usually noticed due to their striking patterns and colors. Another superb image with a lovely and colorful butterfly specie. This Red Pierrot is a beautiful butterfly. And the picture is great too. Really striking and beautiful. The butterfly looks great against the blurred background.